For a bride who wants black glitter extension for her bridal photoshoot. 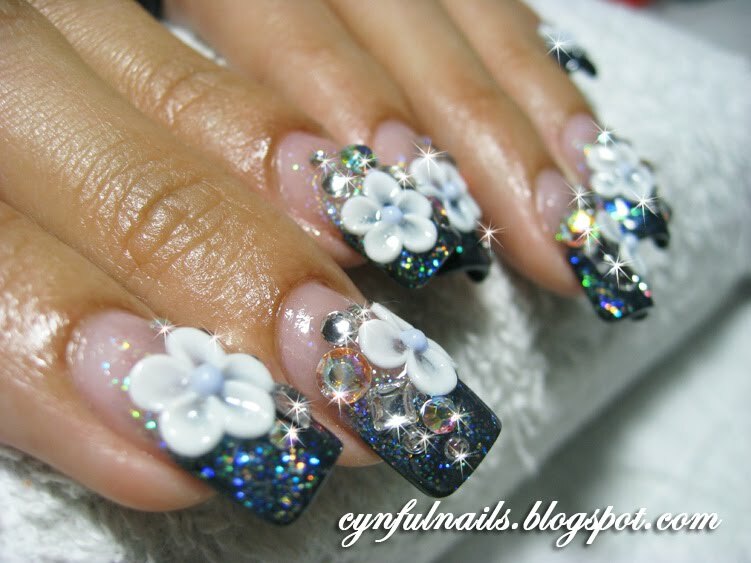 Simple flowers and crystals to go with the black base. For a bride who has never done her nails before. 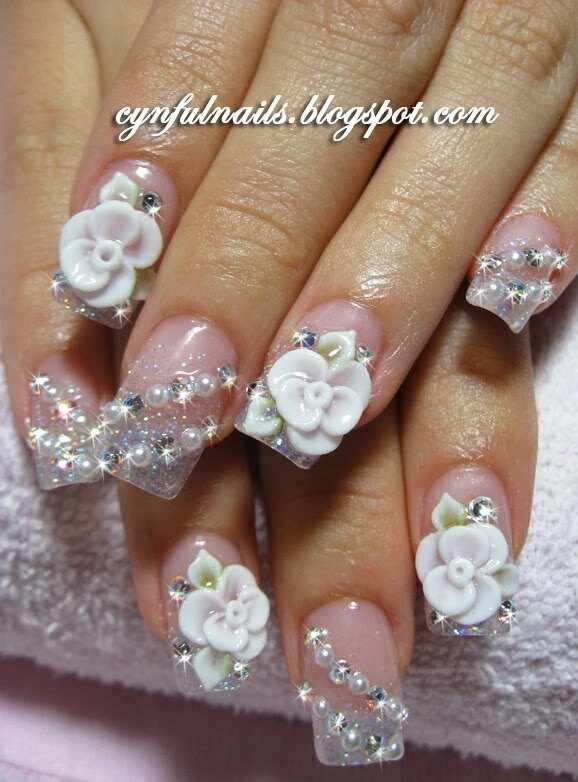 clear glittery acrylic nails with simple roses n strings of pearls n crystals.